I'm wondering who this maiko is. 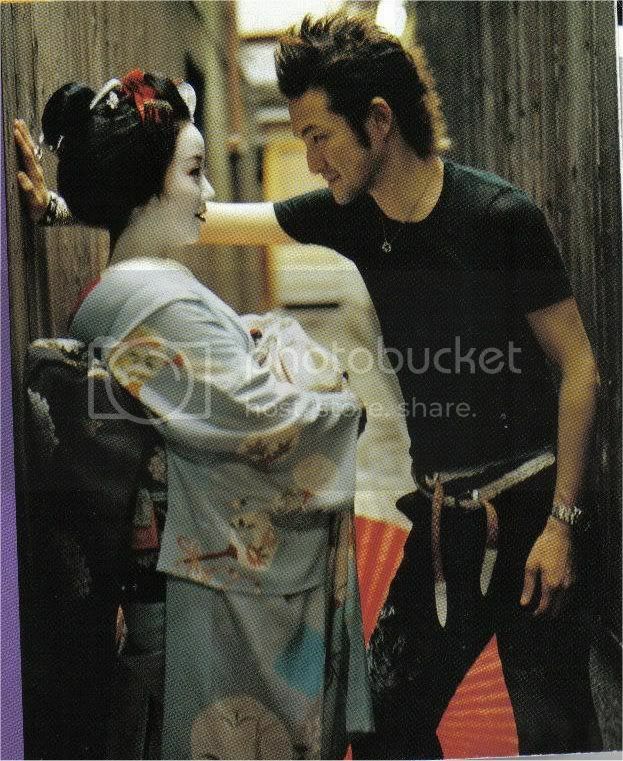 This picture was published in a Japanese magazine called Josei Jishin in 2003. 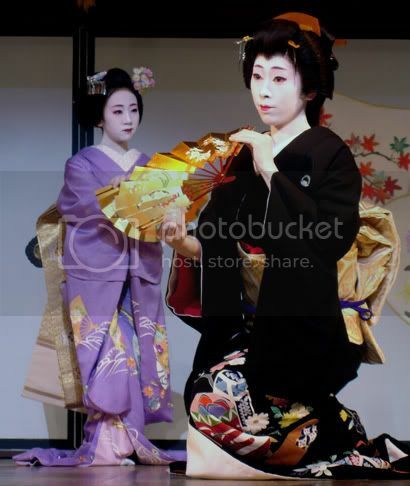 The article was on this guy in the picture, I think he is a kabuki actor because kabuki was the only word I could read. Anyway was wondering if anyone could identify the maiko who I would think is a geiko now, or quit). Sorry for the crappy scan.